Episode 4 of The Dash Podcast. 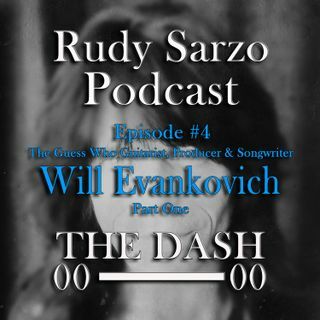 Part one of my candid conversation with The Guess Who guitarist, songwriter and producer, Will Evankovich as he shares his contributions on the soon to be released The Guess Who record, "The Future Ain't What It Used to Be". We also discuss Will's production and songwriting contributions to Styx's latest album "The Mission". This is a must listen for Styx and The Guess Who fans. I Hope you enjoy it and I look forward to your ... See More thoughts.